The Apollo continues to be the choice venue for quality listening experience in town thanks to the excellent sound and grade of performers that play on their stage. 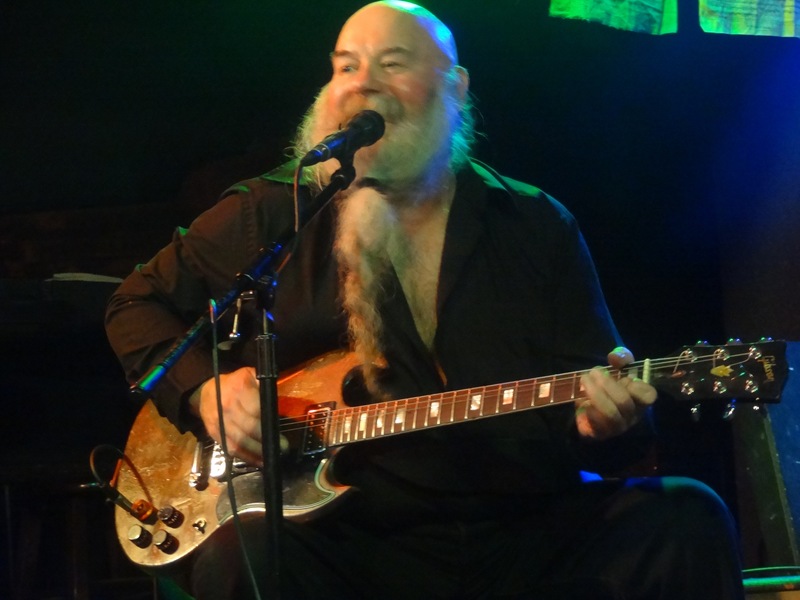 On the evening of July 17, Bill Durst, with his baldpate and braided beard, sat on stage in the chrome and leatherette 50s kitchen chair and, with a growl from deep in his loins, demonstrated how to rock the blues. You may never have heard of him—I hadn’t—because your knowledge of rock music history is not underground enough. 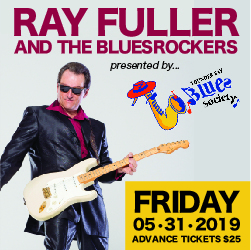 Bill Durst is a legendary Canadian blues-rock roots guitarist, singer, songwriter, and entertainer who has written and recorded over 115 songs on 11 albums and continues to tour extensively across North America and Europe. Starting his career with Thundermug from London, Ontario in 1969, he went on to play in Tres Hombres, arguably the most successful cover band ever (early ZZ Top). His awards and nominations are numerous: Blues/R&B Artist of the Year, Jack Richardson Music Awards 2014 being the latest. With their drummer waiting in Winnipeg to join them on a long summer tour ending in Tofino, B.C., Durst together with Joe DeAngelis’ rock-bottom bass covered some ZZ Top and classics, such as “Man of Constant Sorrow” as well as showcasing their most recent album Hard and Heavy. On Willie Dixon’s “Little Red Rooster” Durst sang along with his guitar a la George Benson. From his own material the song “Angels Fly” (‘cause they take themselves lightly) stood out as a shining gem of a tune. For true blues fans, Bill Durst is a must see. Catch him the next time he comes around.